If you’re like me, you’ve spent most of your cooking life thinking tahini is a specialty ingredient in hummus, and after opening a jar, you don’t have a clue what else to cook with it. If that’s the case, read on! It’s actually an incredibly versatile ingredient that can add texture and flavor to any part of your meal from appetizer to main course to dessert. Inspired by a Levantine Arabic word that means “to grind,” tahini (pronounced tah-HEE-nee) is a creamy paste of ground sesame seeds. Rich and nutty, it’s ivory or beige, depending on whether raw or roasted seeds are used. Israelis call it tahina. 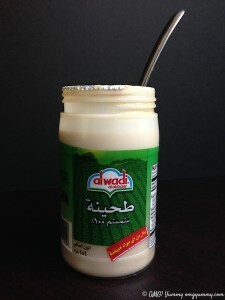 There, and throughout the Middle East, it’s a staple on par with America’s peanut butter. Some stores stock tahini sauce, which is seasoned with garlic, citric acid and salt and thinned with water. While tahini sauce has its place, generally it’s the seed-only paste you’ll want. You can also use “sesame butter,” as in peanut butter, which is really tahini. To become tahini, sesame seeds begin with a 25-hour soak in water, according to “The Oxford Companion to Food,” by Alan Davidson. Next, a large hammer crushes the seeds to loosen the bran from the kernel. There’s a second soak, only this time in salt water with Dead Sea-saturation. When the unwanted bran sinks, the floating kernels are skimmed off and grilled. Lastly, a mill grinds the seeds into an oil-rich paste. 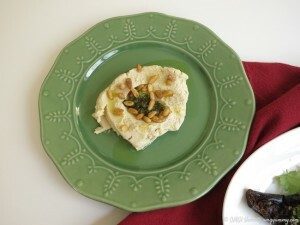 Traditional Middle Eastern tahini uses raw sesame seeds. 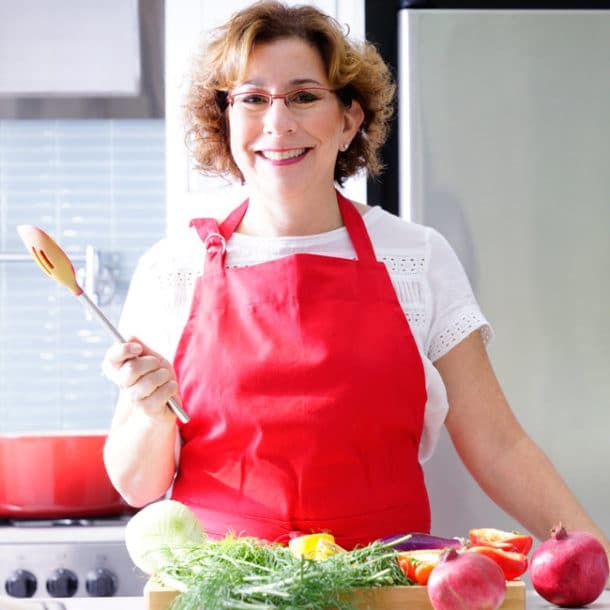 In the United States, the seeds are roasted before grinding, noted cookbook author Faye Levy in a Jerusalem Post article. Roasting gives tahini a nuttier, more rounded flavor and mellows its slightly bitter edge. In many recipes, the two will be indistinguishable. 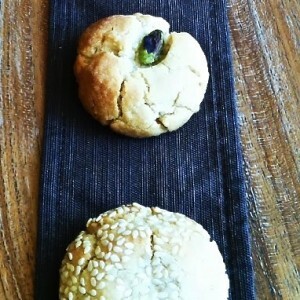 In the Middle East, tahini flavors hummus and baba ghanoush. As a sauce ingredient, it’s used with roasted vegetables or fish, and it dresses green leaf salads in vinaigrettes. As spiced tahini sauce, it blankets falafel-stuffed pitas and fresh tomato salads. Because tahini is mild, it can be spooned into oatmeal cookie dough or quick bread batter to achieve a subtle layering of flavors. I’ve also used it sparingly in homemade granola recipes for its rich taste and added nutrition. Each 168.6-calorie, one-ounce serving of roasted tahini has nearly 5 grams of protein and is a very good source of calcium and phosphorus. The spread contains a notable amount of B vitamins, iron and zinc, too. Unroasted tahini has a slightly higher calorie count (172 for one-ounce) and is a smidgen higher in vitamins and minerals. One drawback is that at 15 grams an ounce, tahini is as high in fat as peanut butter. The good news: most of it is mono- and polyunsaturated. Well-stocked and specialty grocers and health food stores carry the ground sesame paste. Because of its oil content, tahini needs to be stored in the refrigerator or freezer. 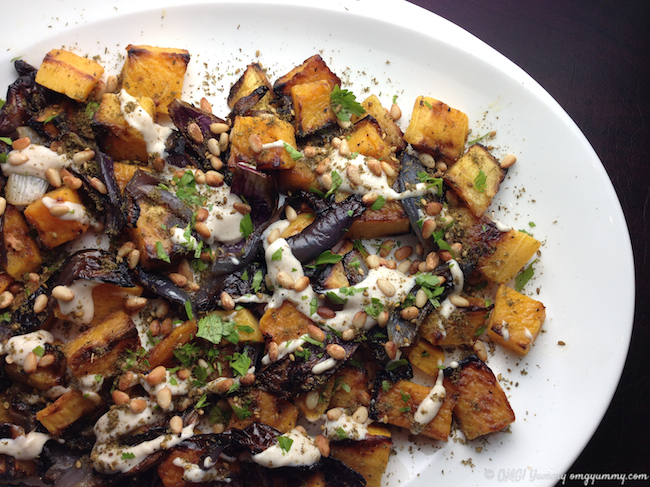 Roasted butternut squash & red onion with tahini & za’atar, page 36: Fantastic side dish or vegetarian main course and simple to prepare. 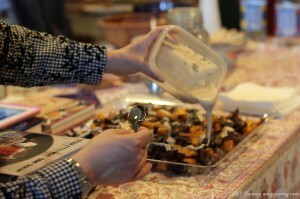 The tahini is used as a sauce mixed with lemon juice and garlic. 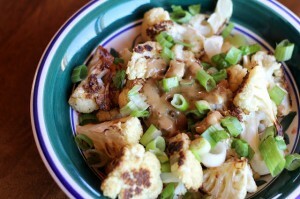 Fried cauliflower with tahini, page 60: Ottolenghi suggests this is best served as part of a large meze assortment. Hannah of the blog Blue Kale Road prepared it without frying. The finish with pomegranate molasses and mint sounds so fresh! Butternut squash & tahini spread, page 69: Another combination of squash and tahini plus the added sweetness of date syrup – an ingredient you can expect us to cover on Tasting Jerusalem soon! Swiss chard with tahini, yogurt & buttered pine nuts, page 88: They suggest to serve this unique side dish with mejadra or lamb shawarma, with chard being one of the most popular greens in Jerusalem. Sabih, page 91: This Iraqi-originated dish was also featured in our Zhoug month. Sabih is street food at its best with tahini sauce as an essential element. Basic hummus, page 114: Wonderful recipe – you might find you tweak the amounts a little but this will result in Israeli style hummus that even your most expert Israeli native will applaud. Musabaha, page 119: Warm chickpeas with hummus – a dish traditionally served for breakfast with pickles and fresh veggies. 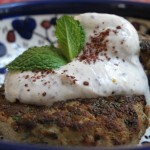 Open kibbeh, page 160: A non-traditional kibbeh that is more of a layered savory cake, topped with the essential tahini sauce. 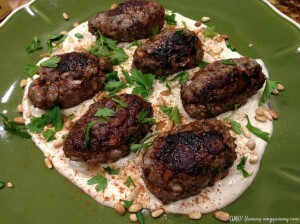 Kofta b’siniyah, page 195: Kofta is the Arabic word for meatball – these are an easy weeknight meal to prepare using ground lamb and beef. 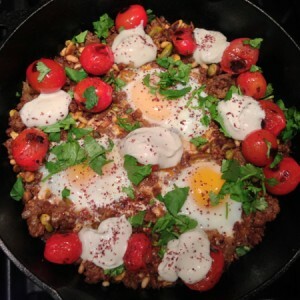 Braised eggs with lamb, tahini, & sumac, page 205: Featured in sumac month (our very first month), this dish is stunning and so flavorful, it is irresistable – the tahini is featured in the yogurt sauce that goes on top. Sfiha or Lahm Bi’ajeen, page 246: A Levantine lamb-topped dough, similar to pizza and according to the book, just as popular! 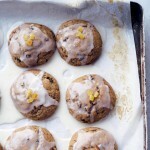 Tahini cookies, page 292: Equivalent of peanut butter cookies in the U.S., these are a cross between a short biscuit and halva. Tahini sauce, page 298: Read this headnote for a great background on the uses of tahini in Middle Eastern cuisine as well as some finer points on which type to buy. Tasting Jerusalem: The NY Times! I’ve yet to use tahini but I should start. I didn’t realize it was so versatile, so thank you for teaching me something. Nice to connect via the facebook group. Try it, you’ll like it! Glad to meet you too and thanks so much for all the Portland tips! 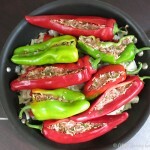 Great selection of recipes! Someday I’m going to join in! Please do – even if just with your comments and experience. I know how hard it is to keep up with cooking in multiple groups! thanks for stopping by Christy! You are so right! I tend to use tahini in only making hummus. What a seductive array of recipe to broaden the scope of our meals. 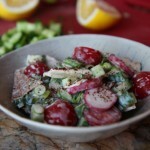 I can only imagine the creative things you would do with tahini Deb! 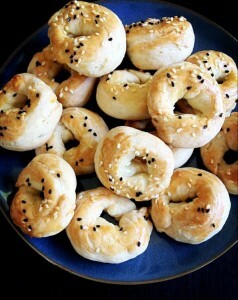 I am sure tahini would be very useful if I did more cooking and baking. I should have some in the house in case I do get ambitious again. 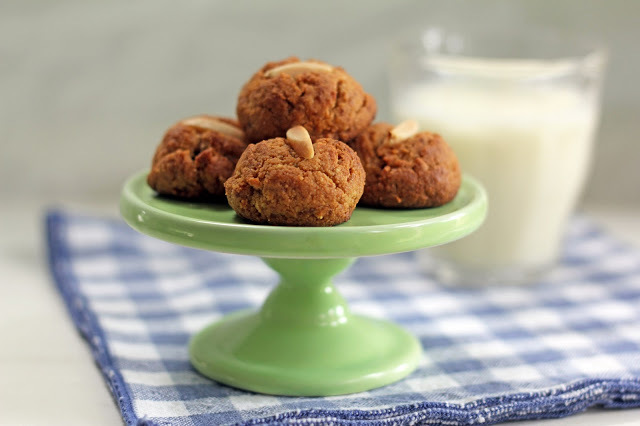 My grandmother used to mix molasses with tahini…it was the best spread ever! I sometimes still make it for my grandchildren. Wow – I wonder if that would work with date syrup as well? That sounds fantastic! What do/did you spread it on? I have definitely only begun to make use of it — I saw an ice cream recipe the other day using just tahini and halva! You obviously are ahead of the curve Jael! Thanks for stopping by.